The memories came flooding back to me when I saw the familiar cool-blue berries. This is not the blue of a ripe blue berry or wild grape. It’s more like the blue paint job of of a customized Gran Torino from the 1970′s. It really looks out of place in in the natural habitat. 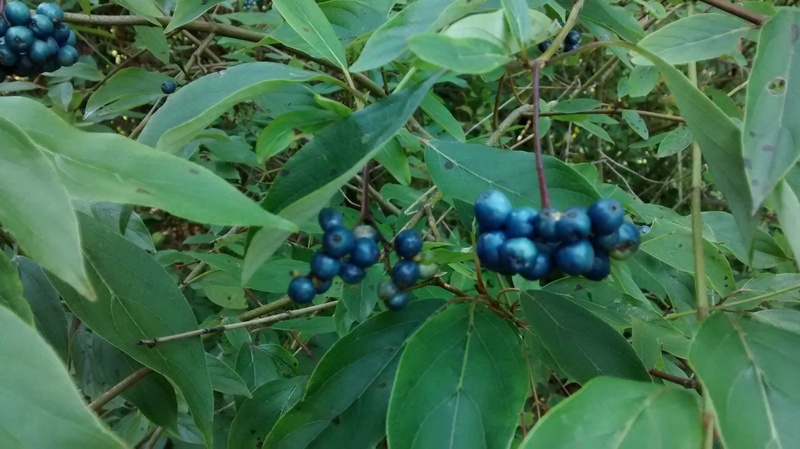 The silky dogwood berries grow in clusters and are about 1/4 to 3/8 inch in diameter.